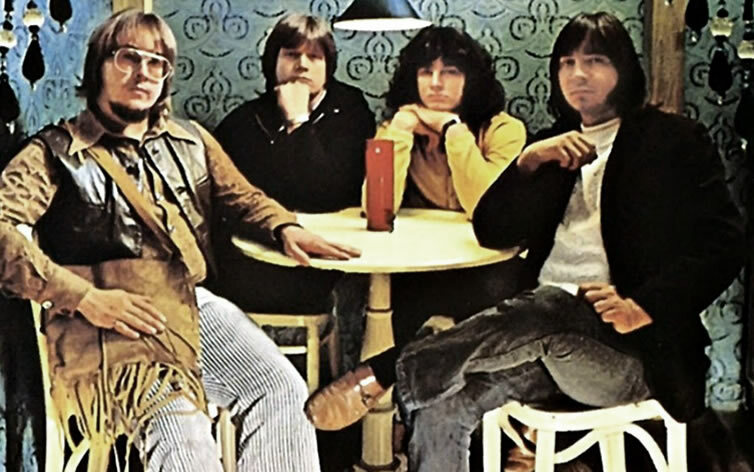 Although the group was already over a decade old and had already released three albums, the pop career of The Guess Who really got underway with the release of two albums in 1969; Wheatfield Soul and Canned Wheat. These albums spawned several hit singles and ignited the group’s meteoric span at the heights of the pop and rock world internationally, which continued into the early seventies. Both of these albums were produced by Jack Richardson. Formed in Winnipeg in 1958, The Guess Who recorded their debut single, “Tribute To Buddy Holly”, in 1962 as “Chad Allan and the Reflections”. Three years later the group produced their debut album, Shakin’ All Over and corresponding title song which topped the Canadian charts and reached the Top 30 in the United States. Two more albums, Hey Ho (What You Do to Me!) and It’s Time were released in the next year and a half through 1965 and 1966, before Allen was replaced by 18-year-old Burton Cummings. In 1967, The Guess Who were hired as the house band on the CBC radio show The Swingers as well as the television program Let’s Go, giving the group vast exposure in Canada and eventually leading to their international record deal with RCA Records. Wheatfield Soul was recorded in New York City in September 1968 with most songs co-written by Cummings and guitarist Randy Bachman. The album offers an odd but interesting mix of structured sixties Brit-pop and roaming experimental songs, some which work and some which don’t. Standing above all else is the fantastic opening track, “These Eyes”, a song of perfect sonic execution. It starts with simple electric piano riff by Cummings along with choppy electric and lightly strummed acoustic by Bachman and then slowly adds arrangement and orchestration matched by Cummings’ vocal intensity to make for a perfect pop song for the late 1960s. The song became the group’s first single to reach the top ten in the US and it has individually sold over one million copies. The second side of Wheatfield Soul is equally as diverse, starting with “When You Touch Me”, which starts with Gary Peterson‘s animated drums and settles into a pop-oriented groove but may be a little underdone to become a hit. Bachman’s “A Wednesday in Your Garden” is a pretty and pleasant jazz rock ballad with lead vocals remaining high in rock intensity, while “Lightfoot” is a pure folk tribute song with multiple acoustics and lyrics that call Gordon Lightfoot “an artist painting Sistine masterpieces”. “Love and a Yellow Rose” starts as an Eastern-style chant accompanied by single, buzzy guitar before fully kicking in as an entertaining funk rocker, followed by the happy-go-lucky, bouncy, bubblegum rock of “Maple Fudge”. The closer “We’re Coming to Dinner” is a cool jazz rocker with plenty of groovy elements led by an effective rebellious hook which should’ve made this a hit in the late sixties. 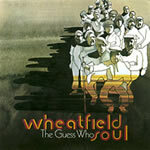 Outside of Canada where it reached the Top Ten, Wheatfield Soul was not a commercial success. However, it did set a standard to be built upon and improved upon for a follow-up album. Canned Wheat was recorded through 1969 and features tracks which are more evenly spread out in temper and quality. The opener “No Time” is an early “alternate” version of the later re-recorded hit featured on the 1970 album American Woman. It starts with weird, dissonant guitars before breaking into the moderate rock groove. Later, Bachman’s extended guitar lead reaches into psychedelia a bit, making this distinct recording pretty interesting. “Minstrel Boy” follows as slightly jazzy folk track with bouncy bass by Jim Kale along with definitively strummed chords and darkly-tinged lyrics. 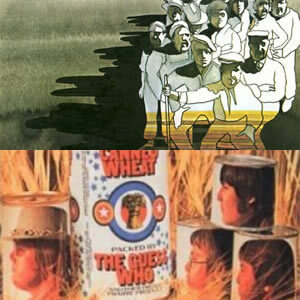 Two of the more popular tracks on Canned Wheat, “Laughing” and “Undun” were actually recorded twice due to quality issues. “Laughing” alternates between a sad ballad and a more upbeat pop love song, a combination which propelled the track to the top of the Canadian Singles Chart and the Top 10 on the Billboard Hot 100. Bachman’s “Undun” was originally issued as the B-side of “Laughing” and this jazzy track features excellence all around – unique, bright guitar chording by Bachman, the best bass playing yet by kale, bossa-nova style drumming by Peterson, and vocals which stretch the ranges by Cummings – along with a very cool and unique bridge. While a little disjointed in direction, “6 A.M. or Nearer” is a very pleasant listen nonetheless to complete the original first side. “Old Joe” is a track by Cummings with an intro that features backward-masked piano and haunting chords before breaking into a folk piano ballad with fine, dynamic vocals and good, animated rhythms, while “Of a Dropping Pin” is a decent rocker with a profound lyrical hook. “Key” is the album’s eleven-minute extended track which starts with sitar before breaking into a rhythmic rock section during the initial three verses. Then, after a standard guitar lead comes an interesting drum/percussion section topped by various guitar textures before Peterson goes into a full-fledged drum solo which takes up the second half of this extended suite. The album concludes with the short track, “Fair Warning”, with jazzy guitar chords and spoken words. 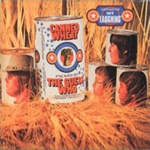 By the time Canned Wheat was released in September 1969, The Guess Who had already begun recording material for their next album, American Woman, the first of two albums released in 1970 by the group.